4" Pop-Up Clears Taller Grass and Other Obstacles. Overall Height: 6". Adjustable Pattern Nozzle Adjusts By Hand To Water Any Part Of A Circle. 1/2” Female Hi-End Pipe Inlet. Spray Pattern: Quarter. 4" Pop-Up Clears Taller Grass and Other Obstacles. Overall Height: 6". Adjustable Pattern Nozzle Adjusts By Hand To Water Any Part Of A Circle. 1/2” Female Hi-End Pipe Inlet. Spray Pattern: Full. 4" Pop-Up Clears Taller Grass and Other Obstacles. Overall Height: 6". Adjustable Pattern Nozzle Adjusts By Hand To Water Any Part Of A Circle. 1/2” Female Hi-End Pipe Inlet. Spray Pattern: Half. 2-1/2" Pop-Up Clears Grasses Most Competitors Won'T. Overall Height: 4-1/2". Adjustable Pattern Nozzle Adjusts By Hand To Water Any Part Of A Circle - No Tools Needed. Spray Patten: Adjustable. 2-1/2" Pop-Up Clears Grasses Most Competitors Won'T. Overall Height: 4-1/2". Adjustable Pattern Nozzle Adjusts By Hand To Water Any Part Of A Circle - No Tools Needed. Spray Patten: Full. 2-1/2" Pop-Up Clears Grasses Most Competitors Won'T. Overall Height: 4-1/2". 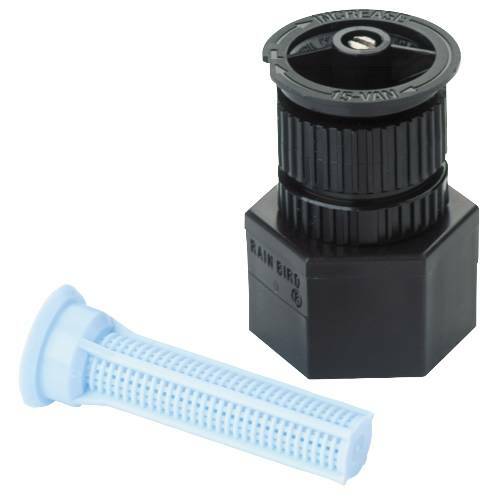 Adjustable Pattern Nozzle Adjusts By Hand To Water Any Part Of A Circle - No Tools Needed. Spray Patten: Half. 2-1/2" Pop-Up Clears Grasses Most Competitors Won'T. Overall Height: 4-1/2". Adjustable Pattern Nozzle Adjusts By Hand To Water Any Part Of A Circle - No Tools Needed. Spray Patten: Quarter. Mounts Above Ground On A Riser Tall Enough To Clear Shrubs and Tall Plantings. Adjustment Screw Regulates Distance Of Spray. Matched Flow Rate Nozzle. 1/2" Female Pipe Connection. Quarter. Mounts Above Ground On A Riser Tall Enough To Clear Shrubs and Tall Plantings. Adjustment Screw Regulates Distance Of Spray. Matched Flow Rate Nozzle. 1/2" Female Pipe Connection. Full. Mounts Above Ground On A Riser Tall Enough To Clear Shrubs and Tall Plantings. Adjustment Screw Regulates Distance Of Spray. Matched Flow Rate Nozzle. 1/2" Female Pipe Connection. Half.